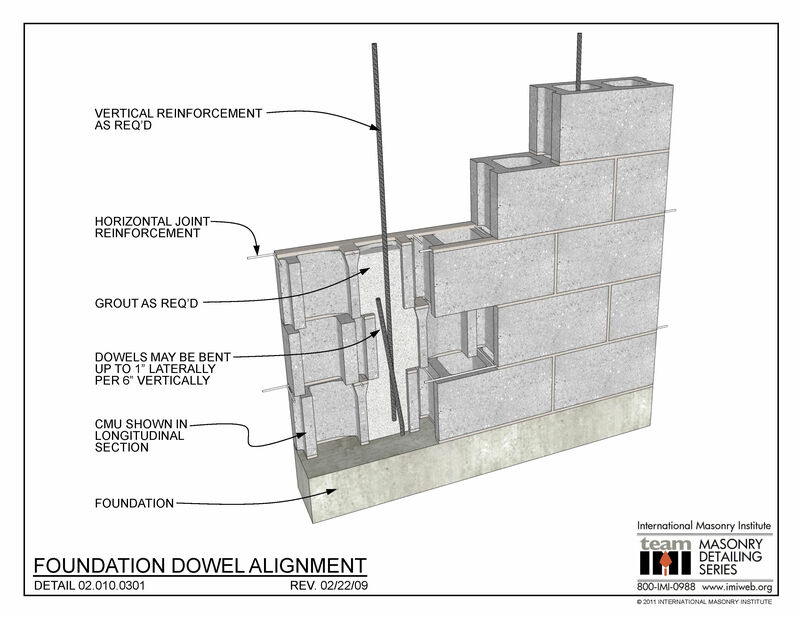 This detail shows a concrete masonry (CMU) wall in partial longitudinal section. In case the foundation dowels do not coincide with the center of the CMU cells, dowels may be bent 1” laterally for every 6” vertically. Vertical reinforcement overlaps the dowels to achieve sufficient development strength per structural design.